Lent is supposed to be a season of a successful journey through the desert of penance to a new land and a new, deeper, intimacy with God. But often, we find ourselves going back to the same old Lenten pathways of past years and end up getting nowhere. My aim here is to put into your hands some new Lenten ideas to help you approach the season in a new way so Lent can become for you the experience of lasting change that it is intended to be. This, of course, is not an exhaustive list of Lenten ideas. But it’s a start! Many of the resources mentioned here are available from The Crossroads Initiative. For more help in understanding the season of Lent and putting these ideas and other tips into practice, get my book Forty Days, Forty Ways: A New Look at Lent. 1. Sometime shortly before Lent or on the first day or two of the season, take 30 minutes to pray. Ask the Holy Spirit’s guidance, look over this list of ideas, and make a few practical Lenten resolutions. You can start with just one idea. But don’t start with more than three ideas! Be careful. If you try to implement too many ideas at once, you may not succeed in anything! If you need to get up early or stay up late to get the 30 minutes of quiet, do it! Turn off your phone and computer. Don’t put it off and don’t allow interruptions. 2. Daily, make a plan to get up earlier than anyone else in your house and spend your first 15 minutes of the day thanking God for the gift of life and offering your day to Him. 3. Get to daily Mass during Lent. 4. If you can’t do Mass daily, go to Mass on Fridays in addition to Sunday and thank Him for laying his life down for you. Maybe you can go another time or two as well during the Lenten season. 5. Spend at least 30 minutes in Eucharistic adoration at least one time during each week of Lent. 6. Recover the Catholic tradition of making frequent visits to the Blessed Sacrament throughout the week, even if it is only for 5 minutes. 7. Even if you can’t get to daily Mass, get a daily Catholic Missal or go online or get a smart phone app such as Laudate or iMissal to get a list of the readings used each day in Mass, and read these readings daily. During special seasons such as Lent, the Mass readings are thematically coordinated and make for a fantastic Bible study! 8. In addition to the penance assigned by the priest, fulfill the conditions necessary for a plenary indulgence. You can learn about plenary indulgences from the official Handbook of Indulgences. 9. Make a decision to read at least some Scripture every day during Lent! 10. Get to confession at least once during the season of Lent after making a good examination of conscience. If you are not sure why confession is important, get my CD, Who Needs Confession. 11. Pray the Liturgy of the Hours during Lent. You can buy a one volume edition or a full four volume edition. Or you can get it day by day for free using one of the smart phone apps such as Laudate or iBreviary or online at DivineOffice.org or Universalis. Or you can subscribe to a monthly publication called the Magnificat that provides a few things from the Liturgy of the Hours together with the Mass readings of the day. The Magnificat is a great way to start learning the Liturgy of the Hours. 12. 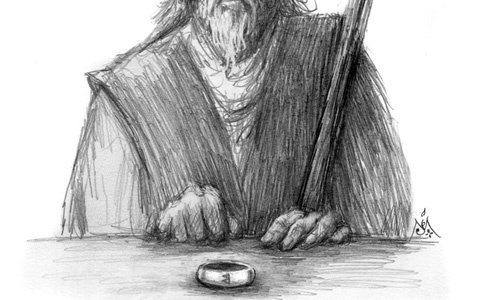 Get to know the Fathers of the Church and read selections from them along with Scripture. Short selections from the Fathers writing on Lenten themes and ideas can be downloaded for free from the Lenten Library of the Crossroads Initiative. 13. Make the Stations of the Cross each Friday of the Season of Lent either with a group or by yourself. If you have kids, bring them. 14. Pray the Sorrowful Mysteries of the Rosary often during Lent, especially on Friday and Wednesday. The glorious mysteries are especially appropriate on Sundays. Joyful and Luminous mysteries are great on other days. 15. Purchase the Scriptural Rosary, which supplies you with a scripture verse to recite between each Hail Mary. This makes it easier to meditate on the mysteries. Another Lenten resource to deepen your understanding of the Rosary is my CD set, How Mary and the Rosary can Change Your Life. 16. If you’ve never done a family rosary, begin doing it. You could start with once a week on Friday or Sunday. If it’s tough to start with a full five decades, try starting with one. Use the Scriptural Rosary and have a different person read each of the Scriptures between the Hail Mary’s. This gets everyone more involved. 18. Pray each day during Lent for the intentions and health of the Holy Father. 19. Pray each day for your bishop and all the bishops of the Catholic Church. 20. Pray for your priests and deacons and for all priests and deacons. 21. Pray for the millions of Christians suffering under persecution in various Muslim and Communist countries around the world such as the Somalia, Nigeria, Syria, Iraq, Indonesia, China, Viet Nam, and North Korea. 22. Pray for Christian unity, that there would be one flock and one shepherd. 23. Pray for the evangelization of all those who have not yet heard and accepted the Good News about Jesus. 24. Here’s a great Lenten idea: Pray for your enemies. In fact, think of the person who has most hurt you or who most annoys you and spend several minutes each day thanking God for that person and asking God to bless him or her. 25. Pray for an end to abortion on demand. Pray for pregnant women contemplating abortion. 26. Pray during Lent for a just peace in Afghanistan, Syria, Iraq, the Ukraine, the Holy Land and elsewhere. Pray for our troops and for others in harm’s way. 27. Pray for an end to capital punishment. Pray for those on death row, and for the families of murder victims. 28. Find a form of Lenten fasting that is appropriate for you, given your age, state of health, and state of life. We need to broaden our idea of fasting. Some fast on bread and water on Wednesdays and Fridays. Others fast from sweets or alcohol throughout Lent. Some fast on one or more days per week from breakfast all the way to dinner, spending lunch hour in prayer or at noon Mass. Another idea is to cut out all snacks between meals or to forego Starbucks stops and eating out. The money saved from not buying various things should be given to an apostolate or ministry serving the physically or spiritually poor. 29. Prayer is like breathing – you have to do it continually. But sometimes you need to pause and take a very deep breath. That’s what a retreat is all about. Plan a retreat this Lent. It could be simply a half day, out in nature, or in a Church. Or it could be a full day. Or an overnight. You can certainly read lots of things during your retreat or listen to lots of talks. But try sticking mostly to Scripture, the liturgy, and quiet as much as you can. During or at the end of the retreat, write down what the Holy Spirit seems to be saying. 30. Find a written biography of a Saint that particularly appeals to you, and read it during the Season of Lent. If you’ve never read it, Mark Twain’s historical novel on St. Joan of Arc is fantastic. 31. Instead of secular videos for weekend entertainment during Lent, try some videos that will enrich your spiritual life. Suggestions: Jesus of Nazareth, by Franco Zeffirelli or The Scarlet and the Black. 32. While driving, turn off the secular radio for a while and use commute time to listen to some spiritual teaching on CD, your smart phone or Catholic Radio. 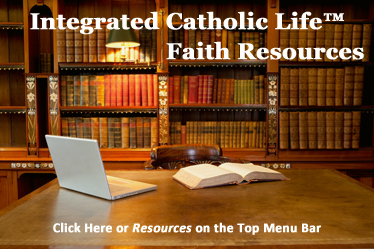 Some great resources can be purchased through your local Catholic book store or online. 33. Find a local homeless shelter, soup kitchen, or crisis pregnancy center, and volunteer some time there throughout Lent. Serve the people there with the understanding that in so doing, you are serving Jesus. Try to see Jesus in each person there. 34. Visit someone at a nursing home or in the hospital or sick at home. Love Jesus in and through the suffering person. 35. Is there a widow or divorced person living in your neighborhood? If so, it would be a great idea to invite that person to your home for dinner, a cup of coffee or a glass of wine. 36. Get the video of Mel Gibson’s movie The Passion of the Christ and watch it during Lent if you feel you can handle the violence (there is also a version with many of the most violent scenes cut out). Get a copy of The Guide to the Passion to help you get the most out of the movie. 37. 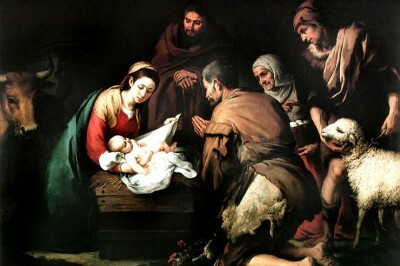 Invite someone over to your house to watch Mel Gibson’s movie The Passion of the Christ, especially someone whose faith is rather nominal, or who does not practice his or her faith, or who does not profess Christian faith at all. Give them a copy of The Guide to the Passion: A Hundred Questions about the Passion of the Christ. 38. If you are married, it would be an awesome Lenten idea to spend some special, focused time with your spouse, strengthening your marriage. Start praying together, or make praying together a more frequent occurrence. 39. Spend some focused time together with each of your children, or your siblings, or your parents. Listen. Pray. Maybe even have fun! Yes, fun can be an appropriate idea for a Lenten penance. Holiness is not supposed to be glum. 40. When Easter comes, don’t drop the new ideas and practice you’ve begun during the Season Lent! Make them a permanent feature of a deeper, richer Christian life! 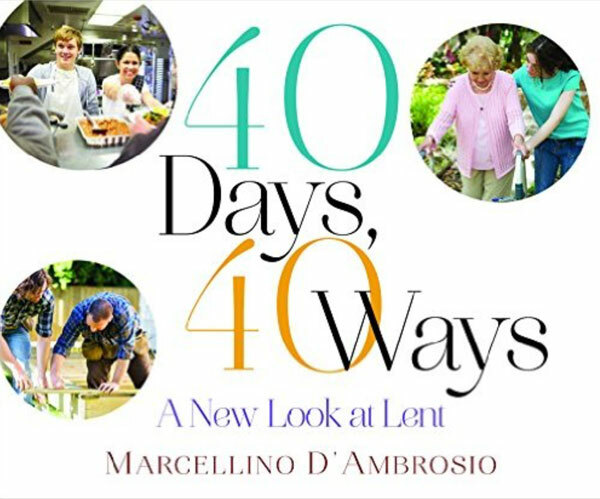 This list of 40 new Ideas to make the forty days of the Lenten Season a life-changing experience is based on the list of Lenten ideas found in a book by Marcellino D’Ambrosio (Dr. Italy) Forty Days, Forty Ways: A New Look at Lent (Servant, 2014).